JUST IN: Syrian government forces have retaken Palmyra from ISIL militants, according to a military source. More details to follow. Syrian government forces have been advancing into the ancient city of Palmyra on several fronts, supported by Russian air strikes. The Islamic State (ISIL) militant group seized control of the city in May 2015. Forces loyal to the government are now said to have recaptured several parts of the city, which is a UNESCO World Heritage site housing many Roman-era ruins. 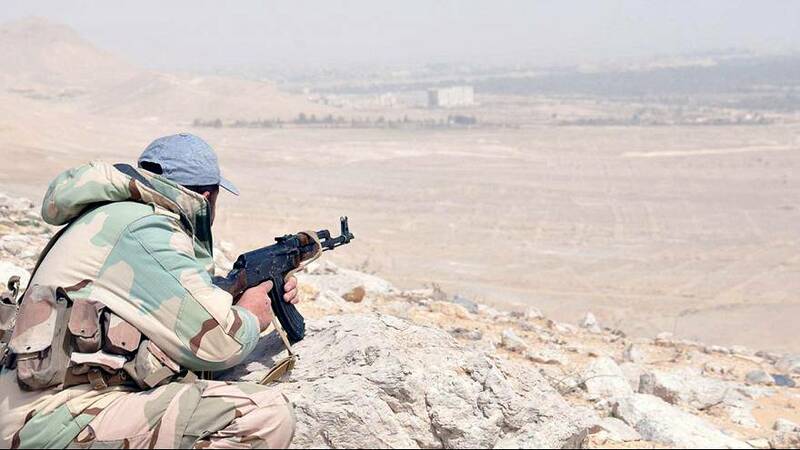 A Syrian army field commander in Palmyra told Syria TV: “We are destroying the terrorists at the entrances to Palmyra, especially in the western districts of the city – and they are now withdrawing in large convoys and driving away from the city. Mamoun Abdulkarim, the head of Syria’s antiquities authority, said that the Roman ruins destroyed by ISIL will be rebuilt after the Palmyra is recaptured – which he believes will be within days. “We invite every expert party that loves Palmyra and wishes to cooperate with us in rebuilding Palmyra. But essentially we will depend on our own national efforts,” Abdulkarim said.